An accomplished warrior or a distinguished general from the Roman army would generally wear a phalerae to display their awards proudly. 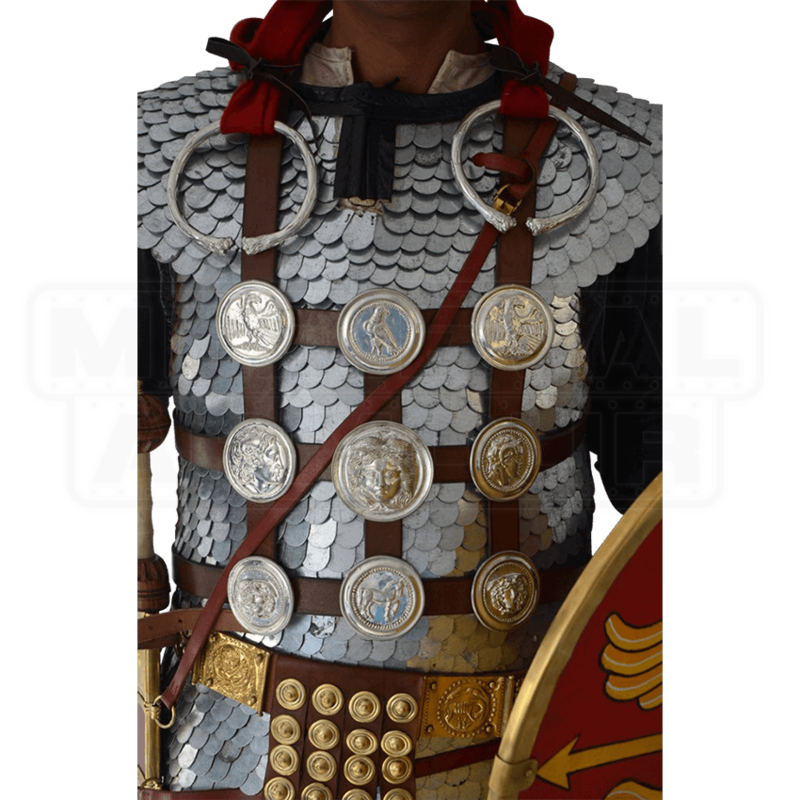 The Phalerae Leather Harness is a must have for victorious commanders of the Legion. 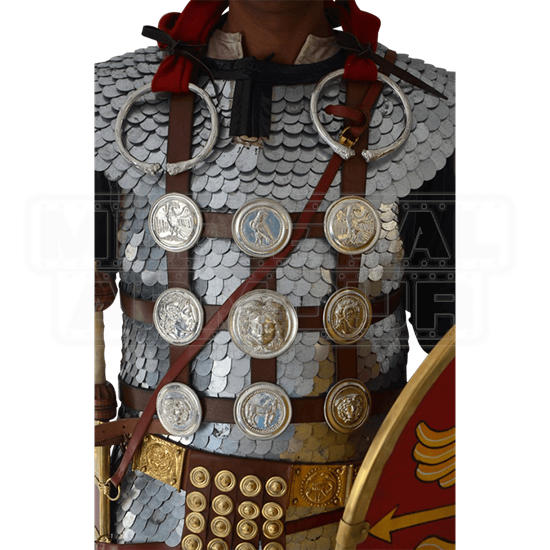 Designed to strap around your back, this phalerae displays all of your awards on your torso for the world to see. The grid shape of this leather phalerae features nine medallions with Legion emblems, including emperors, gods and goddesses, eagles, and wild beasts. The perfect addition to your legionary look, the Phalerae Leather Harness will undoubtedly show your opponents that you are a force to be reckoned with.